If your home in Fleet, Hampshire, Farnham, Camberley, Aldershot, Basingstoke, Hook, Farnborough, Bagshot, Lightwater, Surrey, parts of Berkshire, Cove, Frimley, Yateley and surrounding areas has a non-standard window, then Cristal Windows are the perfect company to help you. 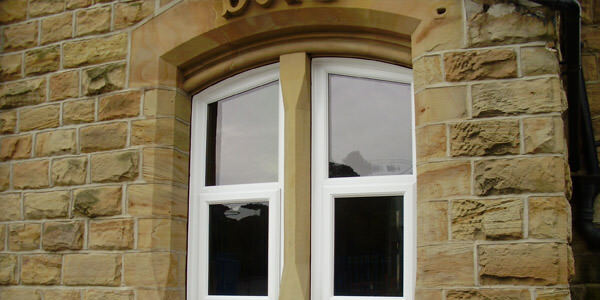 We provide a range of uPVC bespoke windows that are bespoke to your home. Do you have a non-standard window aperture in your home? Perhaps you have an arched space, or a particularly narrow window, whatever the situation, we can provide a bespoke uPVC window for your home in Fleet, Hampshire, Farnham, Camberley, Aldershot, Basingstoke, Hook, Farnborough, Bagshot, Lightwater, Cove, Frimley and Yateley. These made to measure double glazed windows are available in any shape or size, enabling you to have a unique window design that perfectly fits your property. There are many period homes and converted barns and churches throughout Hampshire where homeowners require all the benefits of uPVC windows, but due to the traditional space available, they have found it difficult to get something that will give an exact fit. 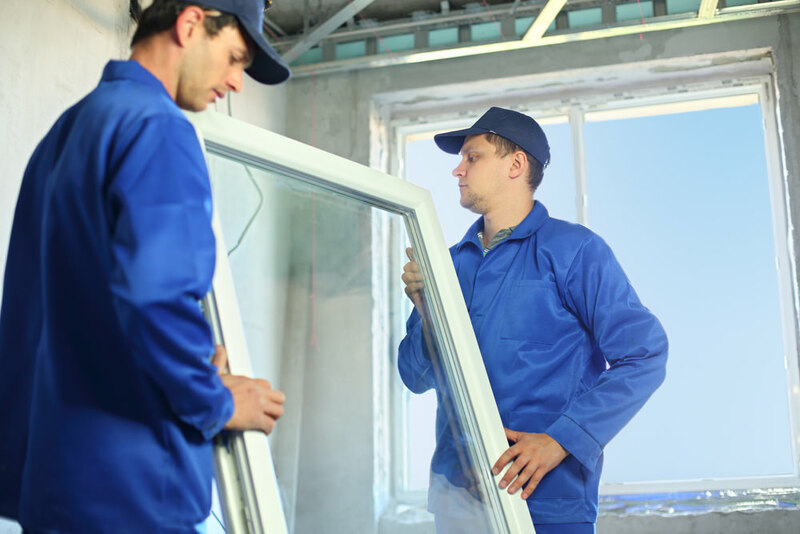 That’s where we come in, designing and fabricating a double glazed window from scratch to ensure you receive the perfect match. As with all our uPVC windows, our bespoke windows come with a whole host of superb features and benefits, so just because you have an unusual window requirement, it doesn’t mean you will lose out on our incredible quality and performance. Your arched windows need not suffer from substandard glazing, as we create gorgeous gothic windows that will match the style of your home and offer you all the exceptional benefits of uPVC windows. Our double glazed arched windows create a sumptuous finish to your period property, creating a beautiful and bespoke replication of traditional gothic windows. 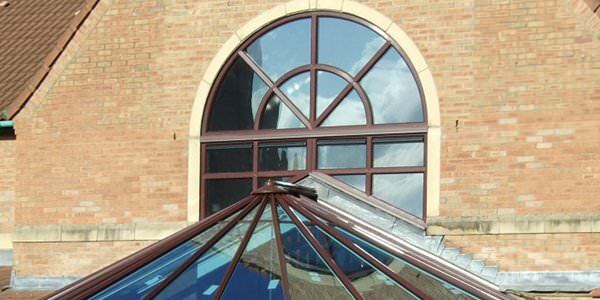 Whether you require circular windows or triangular windows, we have the double glazed bespoke window for you. We use precision engineering to create our uPVC windows in the exact shape and fit you need for the space you have. Our windows will be bespoke to your home and will be the perfect match for its style and appearance. As with any uPVC window, our shaped windows come with a variety of finishes and glazing options to ensure you get a style to suit your tastes and property. Choose from one of our many foil finishes that give you great colour options as well as replica woodgrain foils, and your glass design can reflect your personality and style too. All our uPVC windows come with a multi-chambered profile and high quality double glazing, and our bespoke windows are no exception. Your home will be kept free from draughts, and heat loss will be minimised. Heat will be trapped within your property, keeping it warmer for longer and in turn, lowering your energy bills. Our bespoke windows also come under our 10 year fully insured guarantee, so you can be confident in their long term performance. These impressive uPVC windows are incredibly durable and robust, and will only require the bare minimum of maintenance to keep them in a pristine condition. They will never warp, rot or fade. Our bespoke windows offer the same excellent levels security that you would expect from any uPVC windows. The uPVC profiles offer strength and toughness which is combined with our standard high performance multi-point locking mechanisms to create a double glazed window that is virtually impossible to break into. Your family and home will be well protected. Each bespoke window that we create is completely unique to you, but this does not mean they are unaffordable. Our double glazed windows prices in Fleet, Hampshire, Farnham, Camberley, Aldershot, Basingstoke, Hook, Farnborough, Bagshot, Lightwater, Cove, Frimley and Yateley are cost effective and offer fantastic value. Talk to us about your bespoke windows requirements, and we will be able to give you a tailored quote.